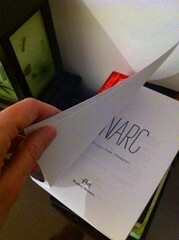 The proof copies of NARC are here! 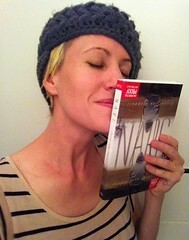 This morning, I held the paperback in my hands, flipped the pages and sniffed the ink. 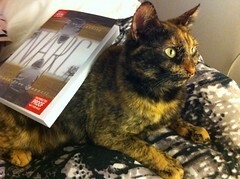 When I was little, I carried paperbacks everywhere. I built a pulley for my tree house with a bucket and a rope, just so I could read The Hobbit between the branches. I rode my bike to the park with a book tucked in the basket. At night, I fell asleep with a paperback hidden under my pillow and dreamed about the characters. A paperback was the perfect size to sneak under my desk during math class. My room was filled with towers of books...so many, they spilled onto the floor. Since I've moved to New York, I often carry paperbacks in my tote bag and read on the subway. I glance up and see others doing the same thing. Sometimes they smile, as if we share a secret. It's what dreams smell like. Older PostNARC is on NetGalley!